Late on a Monday, after a long, emotional day of saying goodbye to my family and travelling across the country, I stand front of crowd as Nick Panken plugs in his guitar and adjusts his mic. What follows in the next two and a half hours are sounds that I have never heard before, a melting pot of emotions all expressed through the humble, nostalgic voices of Nick Panken and Ian Felice that completely erase the day that came before. Heralding from the bluegrass-folk band Spirit Family Reunion, Panken ditched the banjos and violins we’re used to seeing alongside him in place for a breathtakingly stripped-back performance. He seamlessly works his way from song to song, both old and new, his small audience taking in every word and every cadence. It doesn’t take long for the New York born singer to turn the evening political: “This is a song about one of the many men my government has murdered to maintain their vicious empire,” he says before delicately covering Bob Dylan’s ‘George Jackson’. He says this with the soft voice of an underdog, someone who will never change the world but will not stop trying nonetheless. 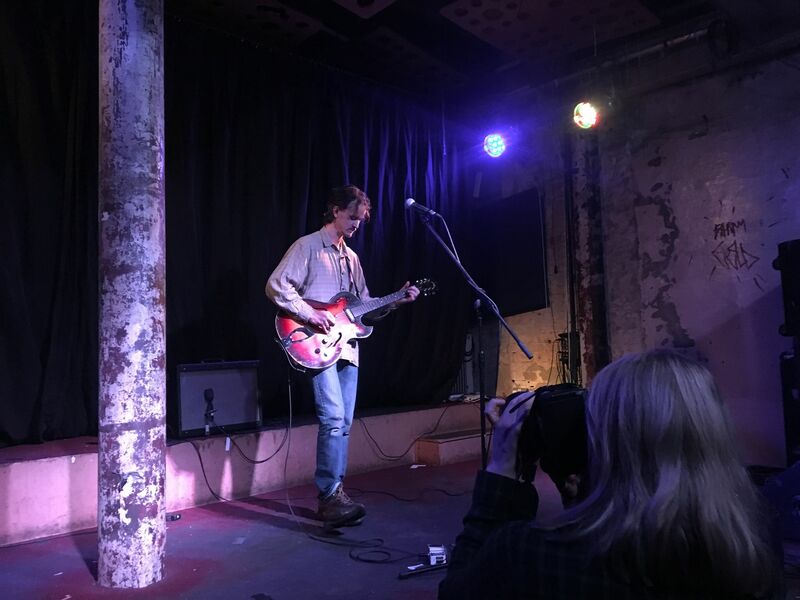 Following Panken’s short set – that was equally as captivating as it was humble – Ian Felice took to the stage with the same modesty as the man that came before him. Opening with a string of songs from his solo record, In the Kingdom of Dreams, Felice stood centre stage with just his guitar and himself, singing the songs that he returned to his childhood bedroom to record. He peppers the evening with old classics from The Felice Brothers and the occasional folk cover, every move imbued with such nonchalance that at times you forget you’re one of many in the basement of Stereo and not just an onlooker as he sings to himself in his childhood bedroom. Excepting the occasional trip to the bar at the back of the room, the crowd is completely still as Felice makes his way from the deeply personal, ‘Water Street’, to the aggressively political, ‘21st Century’. Still, there are striking moments when he brings you back to the real world: he pulls out the setlist from his shirt pocket three songs in to check the song order, stops a song in its pre-chorus because he’s changed his mind about playing it, and sarcastically pleads for donations to his presidential campaign. It is this authenticity, Felice’s complete incapability of manufacturing performativity, that makes his presence on stage so beautiful. While this is by no means a man that can please any crowd, he is wildly uninterested in pleasing the masses. Ian Felice is a modest, understated, delicate song-writer and performer, a rarity nowadays that we must cling onto with all our strength.